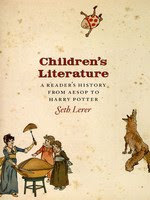 I remember stumbling upon Seth Lerer’s at-the-time new history of children’s literature in a library catalogue search last year. I have since read critique of the book that asks why those outside the field of children’s literature feel that they possess sufficient knowledge and authority to attempt to write definitive histories. I believe Lerer is both a Medieval and Renaissance literature scholar, which cannot alone discount the value of his contribution to the field. One of the most renowned children’s literature scholars, Professor Clare Bradford, was a medievalist originally. Until children’s literature is well entrenched at undergraduate and postgraduate level at more universities, it’s going to be a common occurrence for some scholars to traverse from other areas to children's books. Professor Mavis Reimer and Professor Perry Nodelman began as scholars of the Victorian era, just as I have begun my foray in the field looking at books largely no longer read, and unaware of the wide reach of the discipline in contemporary texts. While it is perhaps impossible to imagine a children’s literature scholar doing an about-face and setting out to write a history of Renaissance literature mid-career, some part of me was pleased that a scholar in “serious” literature would enter the realm of children’s literature. In my fantasy of it all, while there are methodological specificities to children’s literature and generic conventions to children’s texts, it should be no different to move between Romanticism and Victorianism as from Modernism to children’s literature. You’re going to be beginning behind the eight-ball with the switch, but we’re not talking a move from geology to social work. And so I went to Lerer’s book, taking no offence that he was willing to swan in to the field and publish a history of children’s books that probably outsold the works of the best-known established children’s literature scholars. 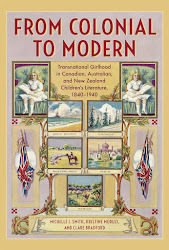 I have spent several weeks revising a book proposal based on my PhD thesis on girlhood and the British Empire. The motivation behind this research was further galvanised upon reading Lerer’s history. In the time period relevant to my own work, he refers to boys’ periodicals, including The Boy’s Own Paper, boys’ school stories, the Boy Scouts and has a dedicated chapter on Robinsonades. None of the girls’ equivalents of these aspects of print culture are mentioned. Actually, there was a little white lie in that last sentence, because The Girl’s Own Paper is mentioned in the chapter devoted to “female fiction”. It comes up because Harry Potter’s Hermione “owes” much to the Paper, but we’ll never now why, as we hear no more detail about what the girls’ periodical actually contained. That the chapter begins by discussing a book that celebrates male achievement is not a good start (Harry Potter and the Prisoner of Azkaban) even if Lerer uses it to make the point that Hermione is not central to the action and only becomes so in the filmic version. The core argument of this chapter is that “girls are always on the stage; that being female is a show” (228-229) and that girlhood produces a tension between this external staging and finding “inner virtue” (229). I wouldn’t disagree with the ideas of femininity as performance, but conceptions of hegemonic masculinity no doubt identify performative aspects to masculinity as well. The feeling that some of the ideas in Lerer’s book were familiar, and have been much further developed elsewhere, came over me several times. While Lerer does cite many sources in his notes, the weight of the body of children’s literature scholarship does not seem to impact substantially on the content. He writes on fairy tales: “It is as if the girl’s body is itself a kind of forest for the fairy-tale imagination: something dark and inexplicable, something in need of management, of clearing, of cleansing”. While neither masculinities nor fairy tales are within my area of specialisation, ideas like these seemed to present well-worn ground as new observations. I was surprised to see a book from 1851, The Girlhood of Shakespeare’s Heroines, described as the first “work of literature (not simply of advice) designed for readers in their girlhood...” Now perhaps the word “literature” is what might save this assertion, but, while it’s earlier than the period I ordinarily work in, there are definitely novels written for girls prior to 1851 that are not simply conduct manuals. The next section of the chapter is devoted to Anne of Green Gables, leaving behind the entire development of girls’ literature in the late nineteenth century in Britain, with only the abovementioned work on Shakespeare’s heroines rating a mention. While Lerer is telling a tale about performance, and selecting texts that best suit his study of girls as actors, his book seems to continue the trend of dismissing girls’ literary genres as unworthy of mention. After four pages devoted to Anne, we move to the American Little Women, and finally back to Britain with the canonical The Secret Garden. Wonderful Wizard of Oz rates a mention for the theatricality of Oz, but I find it strange that a book that has a girl protagonist but is not specifically a work of girls’ literature enters into this dedicated chapter. Oh wait, outside of fairy tales, books with male protagonists are “children’s literature” and ones with girl protagonists are “female fiction”? The history of girls’ literature is summed up in six books. The chapter closes with an analysis of Charlotte’s Web. Clearly not a lot happened in the world of girls’ reading in almost half a decade until then. While Lerer’s book seems more useful for pleasurable reading than research purposes, I am in some ways glad that girls’ books are given short shrift once more. That there is an entire chapter on Robinsonades that does not mention girls’ versions; that boys’ adventure novels and periodicals warrant discussion while girls' equivalents or alternatives are not; that boys’ school stories are analysed in ways that make the schoolboy out to be a Crusoe-figure and we'll never know about what girls' books do beyond the six, questionably "girls'" books that are included. These omissions leave a little space for me to flesh out at least one aspect of children’s literature that is glossed over all too often.